Take a getaway to New York City on a magical Christmas Eve, when colored lights decorate the buildings, Jingle Bells rings through the streets, and culinary delicacies tempt you on every corner. New York Christmas captures the dream of strolling down a snowy 5th Avenue, ice-skating around the iconic Christmas tree outside the Rockefeller Center, and capping it off by enjoying a delicious slice of pumpkin pie at an inviting cafe. 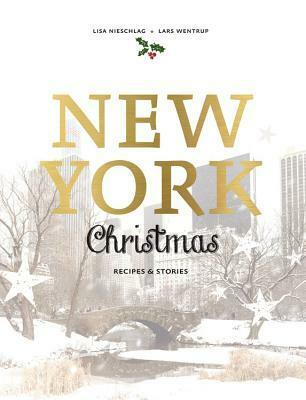 This book features 50 recipes that contain that spirit, including Blueberry Brownies, Maple Glazed Ham, and an unforgettable cheesecake, as well as a host of lovely Christmas stories from the Big Apple to enjoy over apple cider. I won a copy of this book in a giveaway hosted by my local Dymocks bookshop. 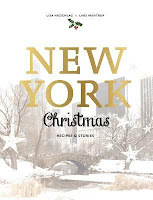 It is a delightful volume that blends recipes with stories and lovely photos of New York City. As with any book of this nature, some of the recipes appealed to me more than others, but there are definitely a few I will try, whether this year or next, and overall it is a gorgeously presented text. It also taught me something new, as I had to turn to Google to find out what quark was!